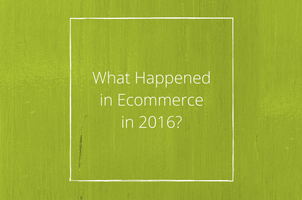 What Happened in eCommerce in 2016? January is a time to look forward to the new year, but it is also a time to reflect on what the previous year brought to us. Being heavily invested in Magento Ecommerce and Digital Marketing, we often find ourselves concentrating on the next big thing that we can bring to our clients, but it is also a great idea to look back at the previous year to see what changed over the 12-month period. There isn’t much change in the top 8 UK eCommerce Retailers with the likes of Amazon, John Lewis and Boots taking some of the top elite spots. Other top performers include eCommerce fashion brands ASOS, BHS, New Look and Topshop, who continue to invest in their online strategies and marketing. Fashion really seems to be the leader of eCommerce with ASOS looking to hire 1500 staff in the new year, Topshop are looking to expand to china and Amazon shipments for independent merchants doubling in 2016. Magento has recently been rolled out from under eBay, and is thriving with both 1.x and 2.x versions of the enterprise level eCommerce system, with a higher market share than competitors Big Commerce, Shopify Pro and Demandware. 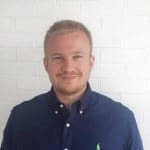 Technology companies that can provide insight into customer shopping habits, and personalise the customer shopping experience, have grown drastically. Unfortunately, so has the stereotypical ‘magic beans’ service providers. We discussed this in our recent blog on The Drum; 7 eCommerce Trends that Worked in 2016. Mobile Commerce grew once again with 51% of all sales online in the UK were from mobile devices or tablets, and conversion for these devices also grew substantially as more customers get used to it as a go to device. This has prompted Google to add more weighting to mobile optimised sites, including providing completely different results to mobile users compared to desktop. In 2016 there was a massive uproar when Great Britain voted for Brexit, causing the £ (GBP) to drop drastically on the world market, leading to EU and other international businesses that operate in the UK to consider increasing pricing to make up for the loss. Also, the weather played an important role in online shopping this year, with some retailers reporting huge growth in online during cold winter months, whilst fashion retailers are hit by the cold weather in April and May of 2016 and customers not looking to buy Spring/Summer season clothing early enough. Let’s see what 2017 has to bring! Contact us now to find out more about our e-commerce services 020 3813 5351.